France knows how to deal with anti-vaxxers. An anti-vaccination couple in France have been charged and convicted of neglecting their child’s health by refusing to vaccinate. MARC and Samia Larere thought they were doing the right thing by their children, aged three and 15 months, when they refused to vaccinate them against polio, tetanus and diphtheria. In a sentence handed down in a criminal court on Thursday, the pair received a two-month suspended jail sentence. They have been given time to appeal, but it could’ve been much worse. Since you aren’t allowed to neglect children by refusing to feed them it stands to reason that a person should not be permitted to neglect a child by refusing important medications. I can only hope that one day Australia will follow the French example by punishing anti-vaxxers for being negligent douchebags. Australian Vaccination Network crashes and burns. The infamous public health menace Australian Vaccination-sceptics Network more commonly known as the Australian Vaccination Network has just submitted financial reports to the New South Wales Department of Fair Trading and the news is fantastic, at least for those of us who value the health and wellbeing of the community. In 2009 a small but dedicated group of concerned citizens formed a Facebook group called “Stop the Australian Vaccination Network” after the organisation embarked on a campaign of abuse and vilification against a family who had just lost lost their four week old daughter to whooping cough. 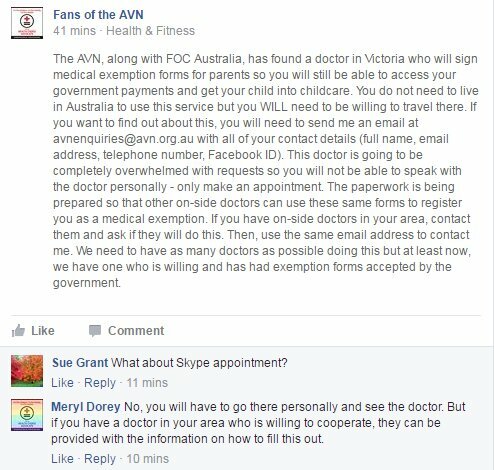 See: The Australian Vaccination Network, abuses and vilifies grieving families. For the past six years Stop the AVN and its supporters have fought a relentless campaign to hold the AVN accountable for the lies and fear mongering used to scare parents away from vaccinating their children. 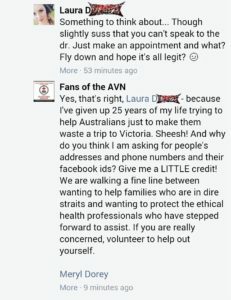 The responses from the AVN and its supporters has been highly aggressive with abuse, harassment, stalking and death-threats being standard modis operandi of the anti-vaccination movement. We have even witnessed anti-vaxxers plotting to visit the home address of a young woman who criticised a prominent member of the Anti-vaccination movement. The AVN has also filed lawsuits against critics and filed official complains with the press-council against journalists who report on the organisation in an unfavorable light. However despite such aggressive opposition we are continuing to win or campaign to shut down the AVN. The lastest figures show they are effectivly on life support. From an annual income of $350,000 in 2007 to just $21,000 today. They have been reduced from a registered charity that the media used to turn to as an authoritative source on vaccination information to a paranoid group of fringe lunatics on Facebook who the media now vocally condemns as such. Not only have the AVN taken the financial hit but their membership is also in rapid decline. Download: Excel Spreadsheet of Income Expenses and Donations here. So although the organisation still exists, and its likely that we will never totally eradicate it the small group of concerned citizens (Now 15,724 people on Facebook) has made a heavy impact against what was once a David and Goliath battle to bring down the nations most formidable health menace. More documents relating the the AVNs finance can be found: here. Anti-vaccination political party loses Domain Name. In recent weeks a group of anti-vaccination campaigners have attempted to start their own political party called the Involuntary Medication Objectors Party whose goal is to undermine public health initiatives. Recent so called No Jab, No Play, No Pay laws discriminating against parents who choose not to vaccinate their children have far reaching effects for the basic freedoms that we have enjoyed. We object to the our elected representatives making and supporting laws that use financial coercion to compel struggling, loving, caring parents to vaccinate their children with questionable medication. This party is a response to the Abbot Government “No Jab, No Pay” laws which closed a loophole that people have been using to claim benefits they aren’t entitled to. Under this new law if parents want to claim a payment that has an immunisation criteria they must ensure that their children are vaccinated before they can receive the handout. The party did have a website setup at IMOP.com.au until auDA the government organisation that administers the .au namespace received the following complaint. * Misty Mountain Aboriginal Healing Place. 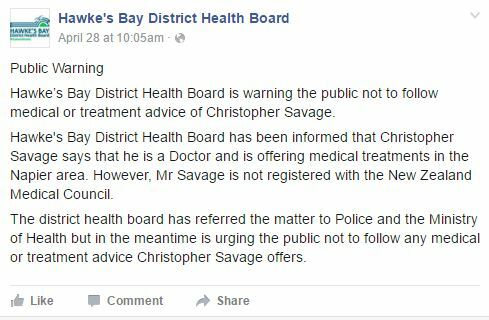 As we have seen in the past Anti-vaccination campaigners have a psychotic determination to undermine public health. I have no doubt they will return after this setback, and we will be waiting when they do. Every victory against the Anti-vaccination movement is a victory for public health, and we are winning this fight.